We, at Staywired Electrical, understand that, for most people, every penny counts, so we strive to provide you with affordable rates for electrical services in Moorebank. We have gained enough knowledge and experience to be ready to tackle any electrical emergency we encounter. We pride ourselves on the unsurpassed, prompt service that we provide for the entire Sydney area. Our team of Moorebank electricians have performed hundreds of successful hot water installations, safety switch audits, fault diagnostics and more! Whenever you are in need of a reliable electrician in Moorebank, opt for Staywired Electrical, and rest assured that you will get value for your money. Our easygoing electricians can help you with circuit problems when you are suffering from the heat of summer or freezing in the winter. You can either call us today on 02 8315 3260 or book one of our professional electricians via our website. All you need to do is choose your location, and you can expect to have an electrician in Moorebank arrive at the agreed time, and no later. Electrical emergencies are not something that can be planned and, more often than not, they happen at the most irritatingtimes. Staywired Electrical provides a 24-hour service, at the most competitive price on the market. 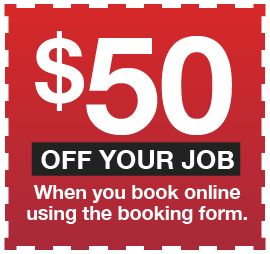 We even offer a seniors discount, as well as a $50* discount for our next job if you refer us to a friend! The suburb of Moorebank was named afterEnglishman, Thomas Moore, who was granted a large piece of land there in 1809. An interesting story from Moorebank in 1959 was about John Hill, a local 13-year-old boy, who made it into the newspaper by being the unlikely winner of a school fete cake competition. He had a keen interest in cooking from 3 years of age and followed his grandmother’s recipe for this competition. It was stated that he “banished everyone from the kitchen” while he was baking and would not use any modern “kitchen gadgets” to assist him.